Jamie New is a star on the rise. He’s an out and proud 16 year old who dreams of drag queen stardom, and isn't about to let anyone hold him back. But first things first, he wants to attend his high school prom in a dress. What follows is a hilarious and touching story about love, acceptance, and identity, set to a pulsing pop score. After helping to create Jamie during the musical's conception in Sheffield, and subsequently making his West End debut when the musical transferred to London, McCrae was nominated for a 2018 Olivier Award for the role, and it’s easy to see why. He fills the stage from edge to edge with immutable presence and from start to finish it’s impossible to look away as McCrea imbues Jamie with a sharp, flawed realness. Undoubtedly, he is giving one of the most remarkable performances currently on the West End. Equally impressive, is the grounded world which has been created on stage for Jamie to inhabit. The home where Jamie and his doting mom Margaret live feels totally grounded in reality. The language and actions of Jamie’s school friends and rivals is completely naturalistic and believable. And when Margaret’s best friend and rock Ray (the lovable best friend everyone wishes they had, brought vividly to life by Shobna Gulati) produces some knock off chocolate bars from her bag which she picked up from the local market, the attention to detail is so perfect that a chuckle of recognition ripples through the audience. It’s a bit of a thrill to see such a truthful slice of British working class life presented on a major West End stage so frankly, without resorting to poorsploitation, and that is a testament to the writing of Tom MacRae and co-writer Jonathan Butterall. There are also a couple of standout musical numbers from Tom MacRae and Dan Gillespie Sells which pique some of the musical’s most affirming moments. The palpitating groove of You Don’t Even Know It is an electric ode to self-confidence, and the title song Everybody’s Talking About Jamie is equally joyous, allowing the young ensemble to show off. 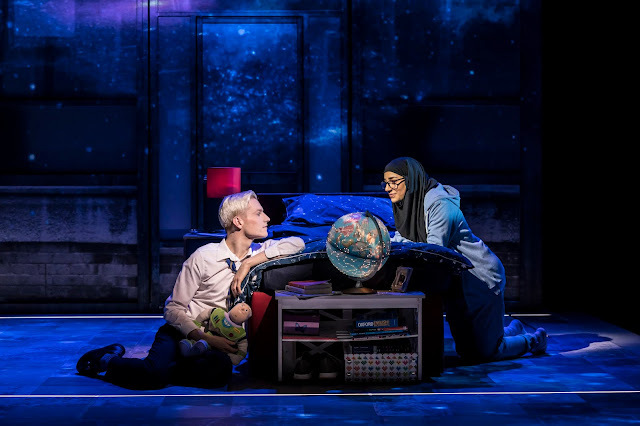 Additionally, supporting characters like Margaret and Jamie’s best friend Pritti, played sweetly by Lucie Shorthouse, are given beautiful songs which allow the actors’ voices to shine. That being said, a couple of the songs do seem a little superfluous to the story due, in part, to the fact that the script is so good, and the characters so compelling, that at times the songs seem to stop the action in its tracks. None of this however distracts for the perpetual pizazz of the musical as a whole. 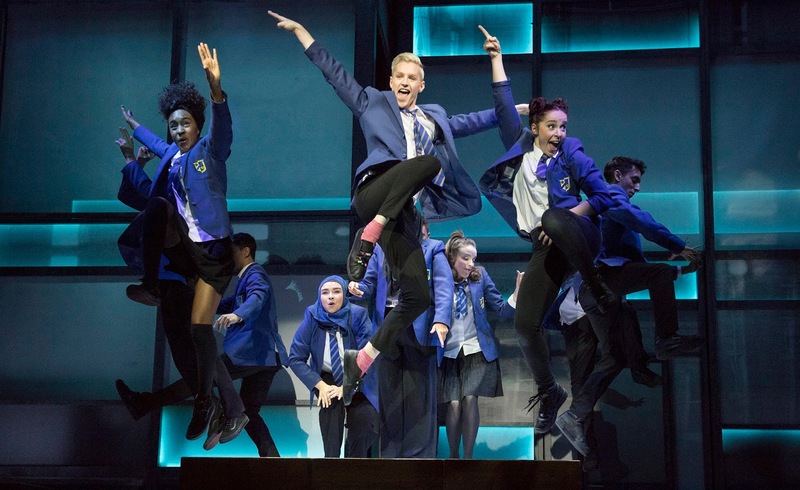 Full of pep and heart, Everybody's Talking About Jamie is a feel-good musical celebrating strength in the face of adversity, which fizzes with sheer joy.